ALL-NEW PERFORMANCE IN A BRAND NEW SERIES. 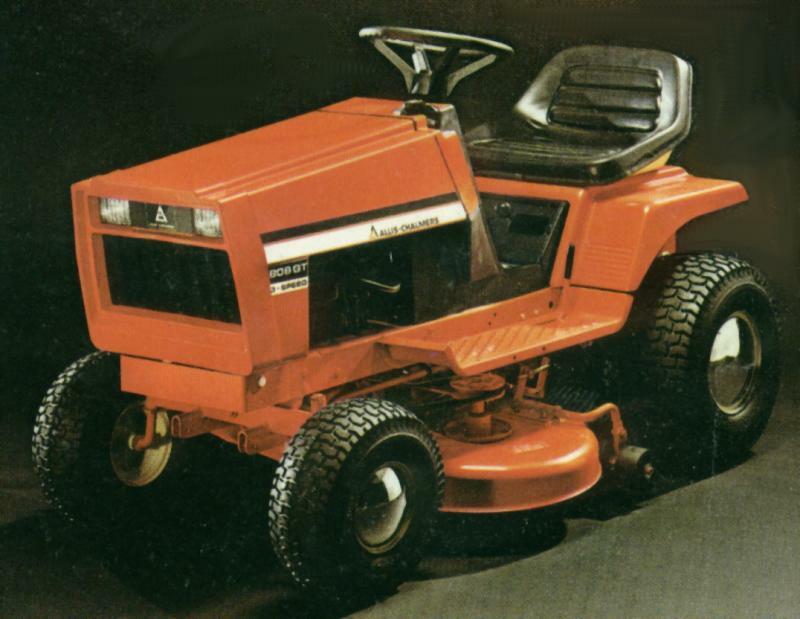 Allis-Chalmers fields a new pair of top yard hands for 1977 -- 8 hp and 10 hp garden tractors designed and built to do a lot more than mow! Both the 808GT and 810GT handle front, rear and center PTO attachments for year 'round versatility -- such as the rear-mounted tiller for gardening . . . the front-mounted blade or blower for winter snow removal. They're equipped with a three-speed transmission custom designed and built for the 800 series -- no general purpose add-on. This means gears are precision cut and mated, deliver smooth, long-term service in a rugged gear case that can take even rough starts and stops. Synchro-balanced four-cycle Briggs & Stratton engines reduce vibration, help assure all-day riding comfort -- with power output to spare for chores big and small. Big 36" and 42" rotary mowers are engineered for nonscalp mowing, with a front axle pivoted to allow the mower to follow ground contours, while rear rollers help iron out irregularities for even cuts. Big, high flotation tires are kind to fine lawns, won't grab or scar turf even in tight turns. 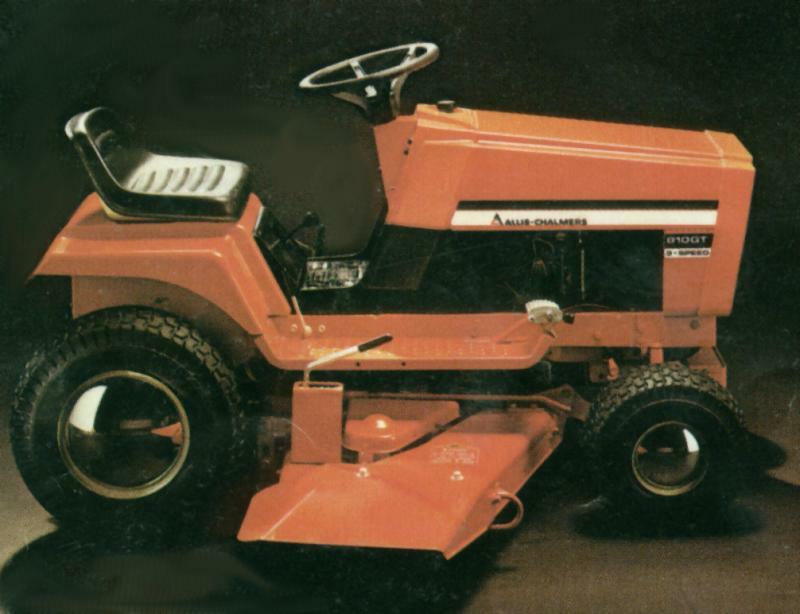 Comfort, convenience, control -- you get 'em all in a big way in Allis-Chalmers new 800 series. With the Beautiful Difference in ruggedness and ease of service!